We provide quality education to financial professionals who serve the investing public. 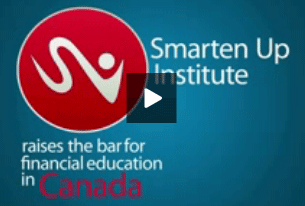 The Smarten Up Institute wants to be part of a movement where the Canadian investor has the best educated person serving them. More than just being current and compliant, we want to break down the barrier between the front office and the back office, and inspire an industry to create the best educated professional, no matter what their role. The complexity of the business underscores the need for smart, talented individuals to be part of this growing industry. A new approach to education and the transfer of knowledge is needed to develop leaders who will be collaborative, flexible and well rounded in their understanding of risk and opportunity. Smarten Up Institute will ensure that Canadian firms and individuals are even better equipped to manage the industry through both its evolution and upheavals. To lead the movement where the investor has the best educated person serving them, no matter their role in the industry.